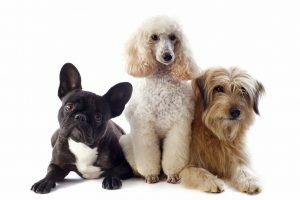 Wanting to purchase a designer dog breed? 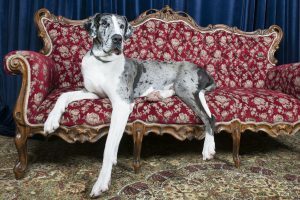 Nadia Crighton takes a look at the top five Designer Dog Breeds and their lovable personalities. With all dog breeds it’s important to ensure the person who is breeding your puppy is doing it for the love of improving the dog-line, and not only for profit. 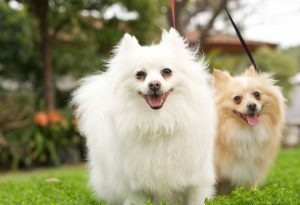 Many of these designer dog breeds, due to their popularity, have been the subjects of puppy-farming. So make sure you choose your dog breeder well. Insist on seeing the place the puppies are living in, and ask all the right questions. You may have to be placed on a waiting list, however waiting for your dream puppy is much better than lining the pockets of those who abuse them. 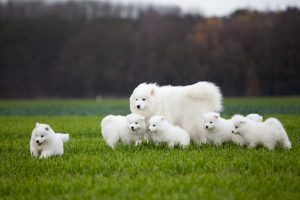 Check out our blog “How to find a good dog breeder” for great tips on finding the right breeder. This designer dog breed is a mix between a Golden Retriever and a Poodle. The breed was first purposely bred in North America back in the mid 1990s. These types of dog breeds are wonderful for those suffering from dog allergy. When bred right these dogs make amazing family pets. They are lovable, happy easy natured dogs that thrive in the company of children. Easy to train and very intelligent. Most Goldendoodles will inherit their ‘Poodle’ qualities meaning many will not shed, or only shed lightly. This designer dog breed is a mix between a Labrador Retriever and a Poodle. A very popular breed that makes a wonderful family dog. They are loyal, loving and super-playful. Being a Labrador at heart, many Labradoodles love to swim, chase balls and be a part of all the action. Great temperaments when bred correctly. They are also great for those suffering from allergies. 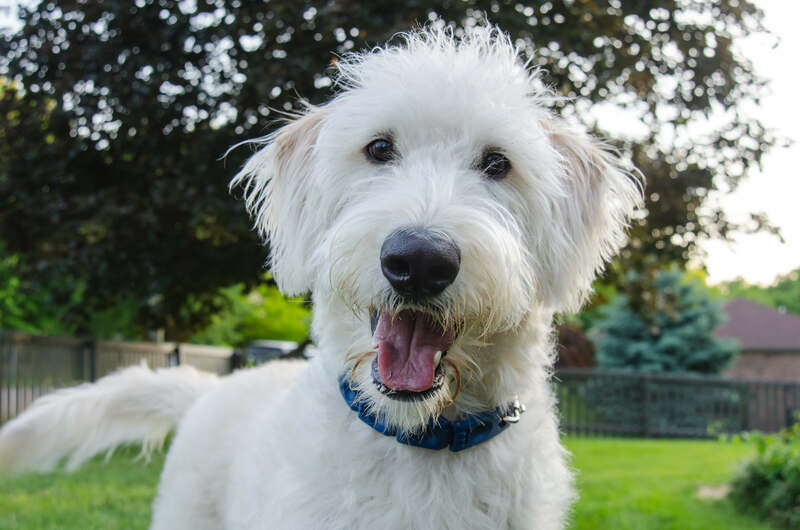 The first purposely bred Labradoodle was by the Australian Guide Dog Association back in 1989 as the first allergy friendly guide dog. With the Labrador and Poodle ranking so high in the intelligent stakes, it’s no wonder this dog breed is super easy to train. This designer dog breed is a mix between a Pug and a Beagle. Simply adorable it’s no surprise the breed has been growing in popularity over the past few years. A fun loving, energetic dog breed which is loyal and loving. Very intelligent, however some do love the sound of their own voice so it’s important to train your Pugle. A great family dog who get along well with children and other pets. They can be a little stubborn to train so ensure you are using the correct dog training methods and be patient. Keeping training entertaining and fun will help. But who could resist those eyes? A very affectionate and loving member of the family. This dog breed is a mix between a Cocker Spaniel and a Poodle. The first of the designer dog breeds with its origins dating back to the 1960s. A very popular little dog who has proven to be a loyal and loving companion to many family homes. Very intelligent dog breed that thrives with good training. They are wonderful companions who love do do whatever their family is doing…from energetic activities and dog sports, to lazing about watching TV. A wonderful dog breed, full of energy and love. This designer dog breed is a mix between a Poodle and a Schnauzer. This is a very popular playful and energetic breed. They are normally small dogs however some do vary in size. Once again the Poodle genes shine strong with impressively high intelligence complimenting this with the sturdiness and gentle nature of the Schnauzer. This dog breed is a great all round dog that can excel at dog training or dog sports. A loving companion for a busy household. It is important to find the right dog breed that fits your needs and lifestyle. Here’s a guidance on how to find the breed that suits you. Want to know in what way owning a pet can benefit your health? Find out here!